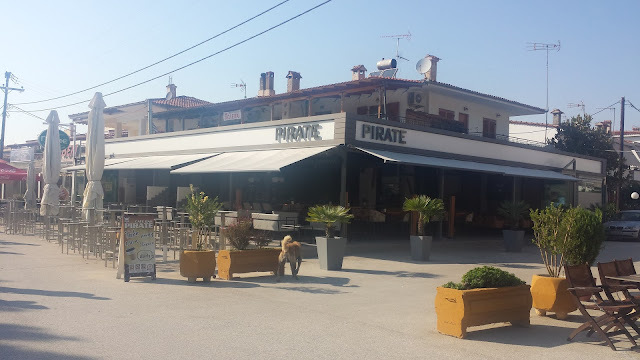 I visited that place some time ago in the summer of 2014. 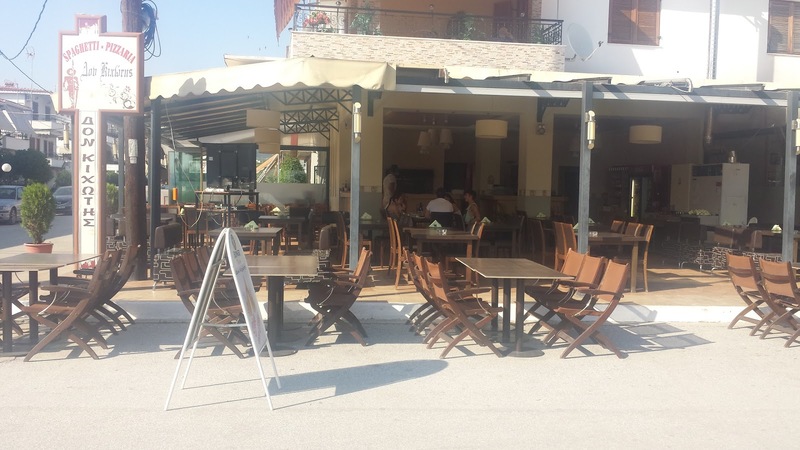 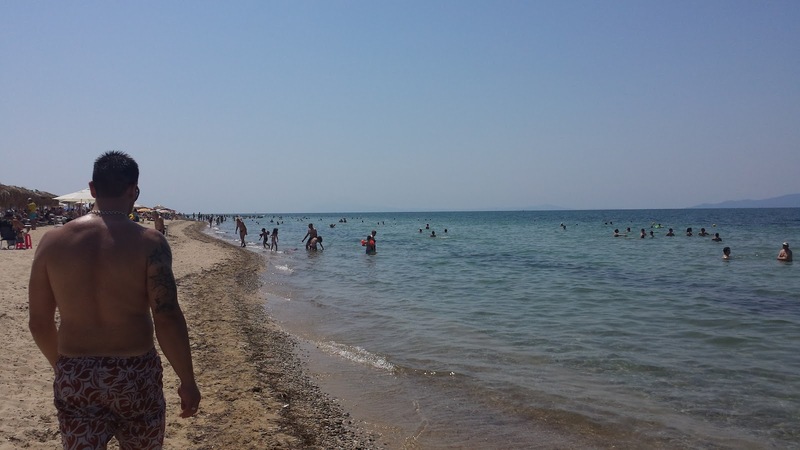 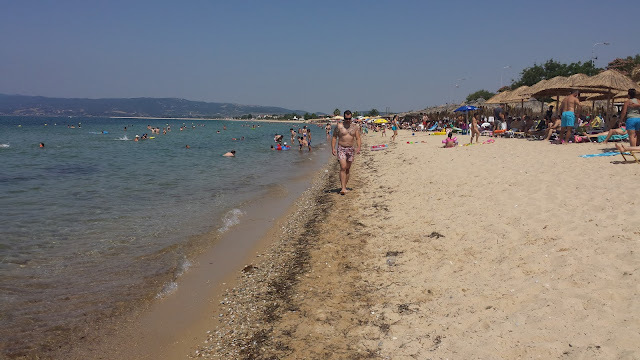 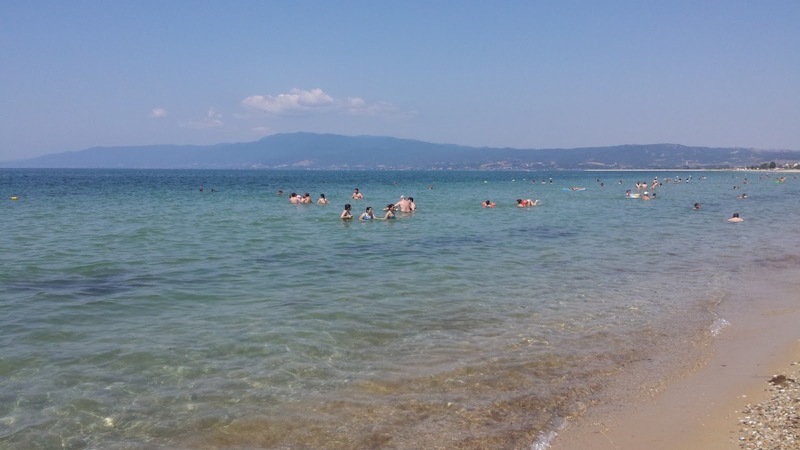 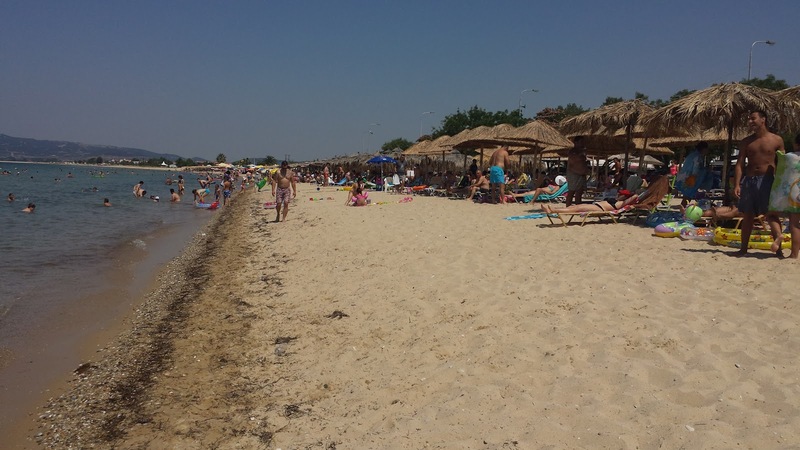 It is called Paralia Ofriniou (also Orfano, old name Touzla and in Greek Παραλία Οφρυνίου) and it has only about 100 permanent residents, but its one of the easiest to access beaches if coming with car from north. 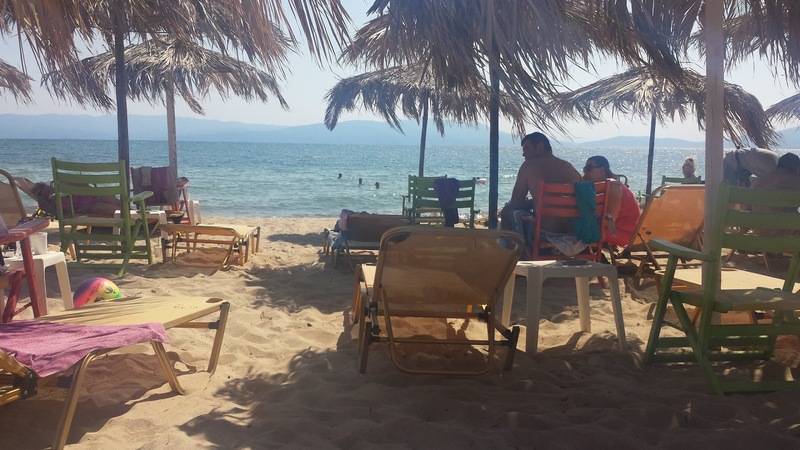 On first sight Thessaloniki and Kavala look like better choices, but for many people that is not so, because they are just too big and noisy to have nice day of rest. 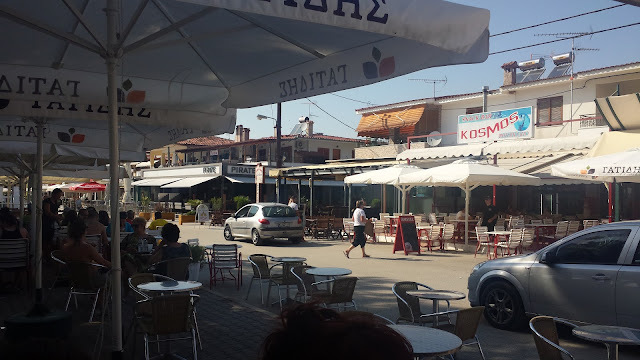 If you want to find a bit more about that village see the following link: http://www.feelgreece.com/en/touzla and the few pictures I took while I've been there.